This is Black Rock Cliffs. It may not have the best view in Maryland. The best view, in my opinion, is of the Potomac River at Weverton Rocks. 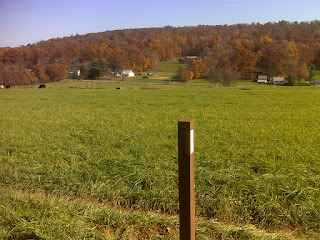 But here, much like at McAfee Knob, the viewpoint is as much a part of the attraction as the distant scene. 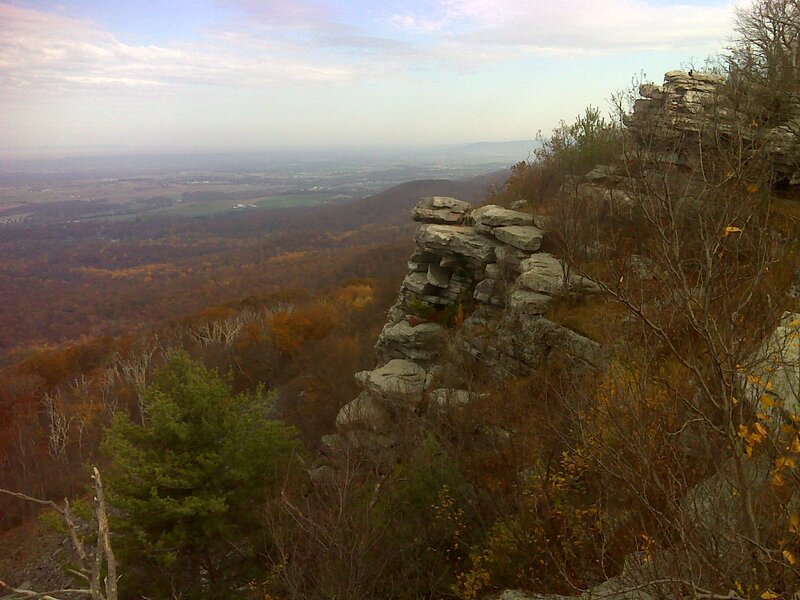 Here the rocks have character on their own - photogenic appeal like no other place in Maryland. It was a warm, almost summer-like day, and although it meant a bit of sweaty hiking on the climbs, I thoroughly enjoyed it because there may not be another day this warm the rest of the year. As you can see, the hillsides have gone from predominantly green to brown and yellow in less than a week. Peak leaf color has come and gone and the trail is littered with new leaves now, hiding rocks, even making the treadway itself hard to locate in a few places. And each step brings the distinctive shuffle and crunch of fresh fallen leaves. There's even a distinctive smell - brings back fond childhood memories from southeast PA of leaf raking and frolicking in the accumulated piles. A special time of year.